Africa has the highest risk of road traffic accident globally. Most blood prescribed for transfusion in the developing world is mainly in emergency care. 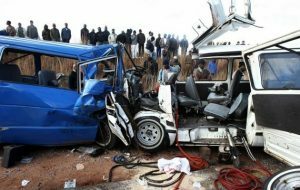 According to the WHO 2015 Report on Road Safety, the African Region has the highest risk of road traffic accident, one of the greatest contributors of emergencies needing blood transfusions. However, hospitals in this region are constantly facing blood stock outs, greatly contributes to the poor outcome all forms of medical emergencies as well as among admissions with severe anaemia. A clinical trial in East Africa by Kiguli et al., demonstrated how timely access reduces the risk of mortality among children with severe anaemia with a high proportion of those not transfused dying within 2.5 hours post admission. This therefore highlights the need to have screened donor blood readily available in the system. With the challenges in the availability of funding to support Blood Transfusion Services (BTS) by local African governments for collection, processing and distribution of this resource and poor donor turn out during blood drives, there is need to sensitise communities on the magnitude of the problem so that we realise that the success of this particular componant of our health services hugely depends on convergent energies as well as our willingness to donate blood. A donor who provides blood for transfusion can be life saving for those with severe anaemia due to trauma, surgery, obstetric haemorrhage and anaemia as a result of infections amongst other causes. We value the sacrifies that donors have made over the years to provide this much needed and valuable resource to those in need. To have enough supplies of blood for transfusion, approximately 1% of the population needs to contribute to the donation exercises. It is therefore our responsibility to heed to the need for timely collections so that when needed the blood is available when need arises. As we salute the heroes who have continuously supported the supply of this vital commodity in the medical sector, let us remind ourselves that we all have an equal opportunity to help save a life through blood donation.